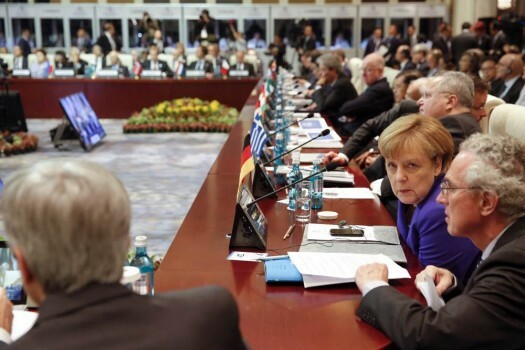 erman Chancellor Angela Merkel and other leaders attend the opening session of the Asia-Europe Meeting (ASEM) summit in Ulaanbaatar, Mongolia. 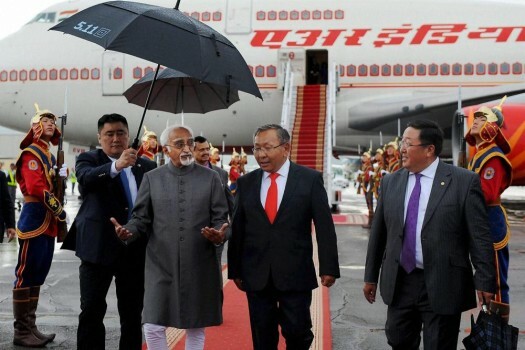 VIce President Hamid Ansari walks with P Tsagaan, Head of Presidential Administration of Mongolia upon his arrival at Chinggis Khan International Airport in Ulaanbaatar, Mongolia. 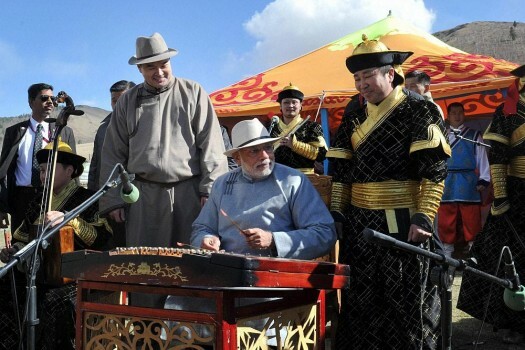 Prime Minister Narendra Modi playing the traditional Mongolian instrument 'Morin Khuur' in Ulan Bator, Mongolia. 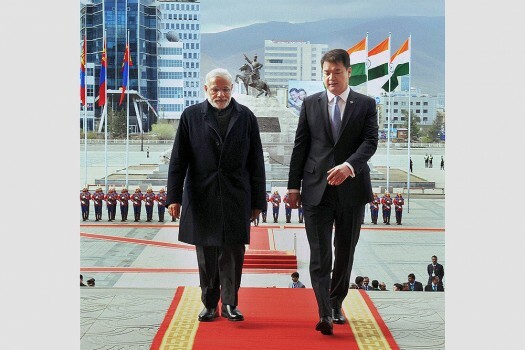 Prime Minister Narendra Modi looks at his gift horse (in the mouth?) 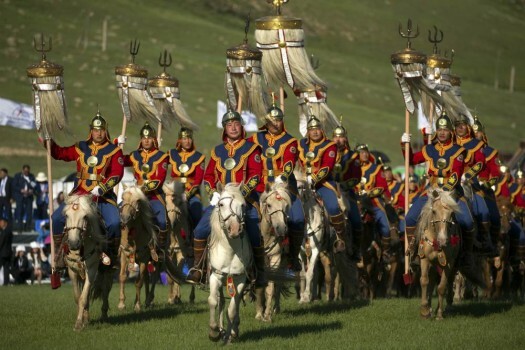 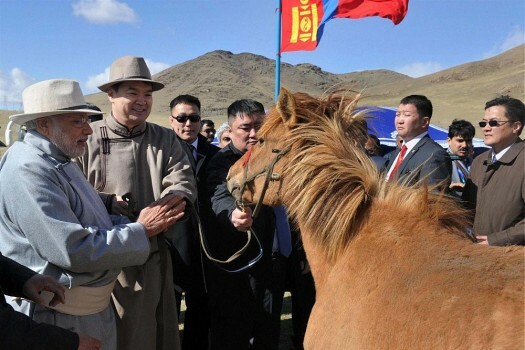 with his Mongolian counterpart Chimed Saikhanbileg during the Mini Naadam festival Ulan Bator, Mangolia. 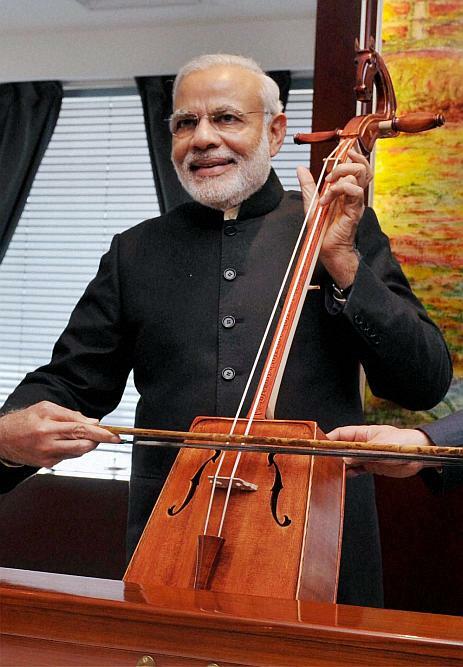 Prime Minister Narendra Modi plays a traditional Mongolian music instrument Yochin at Mini Naadam Festival, in Ulan Bator, Mongolia. 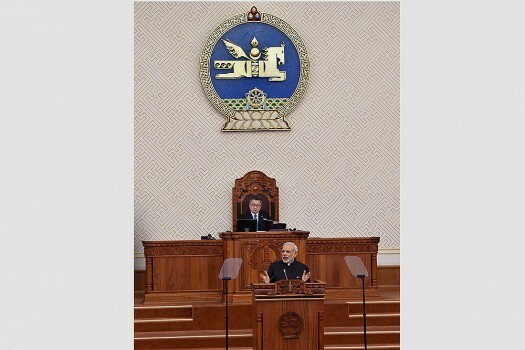 Prime Minster Narendra Modi addresses Mongolian Parliament at Ulan Bator in Mongolia. 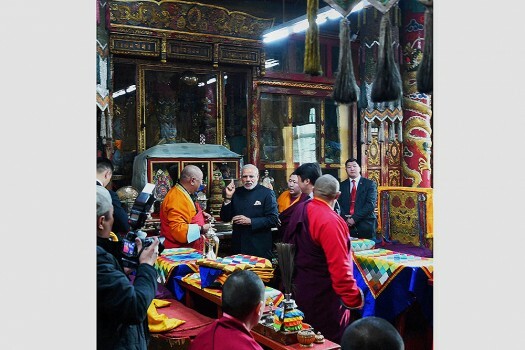 Prime Minister Narendra Modi during a visit to the Gandan Monastery in Ulan Bator, Mongolia. 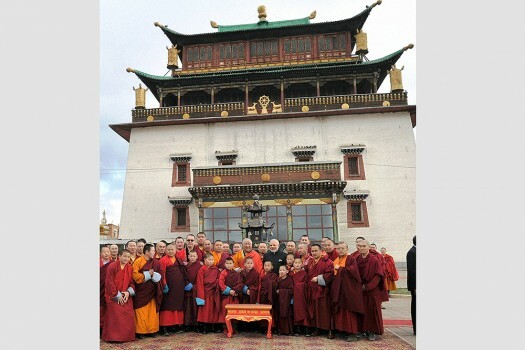 Prime Minister, Narendra Modi pose with monks for a group picture during a visit to the Gandan Monastery in Ulan Bator, Mongolia. 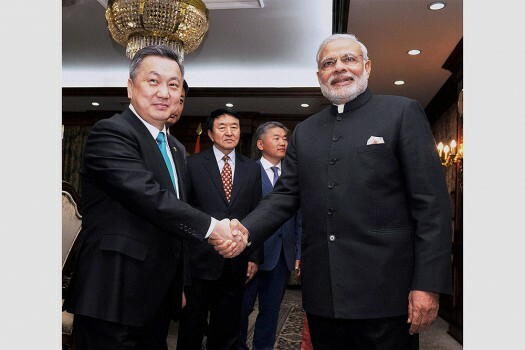 Prime Minster Narendra Modi shakes hands with Speaker of the Parliament of Mongolia, Z.Enkhbold during a meeting in Ulan Bator, Mongolia. 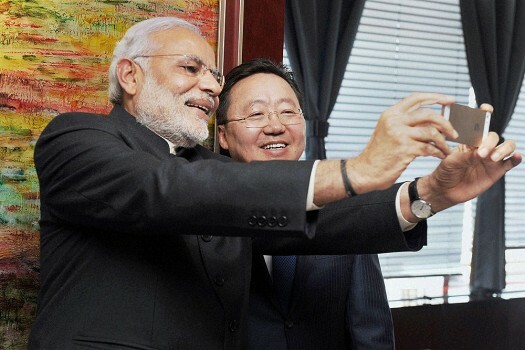 Prime Minster Narendra Modi taking selfie with President of Mongolia Tsakhiagiin Elbegdorj during a meeting in Ulan Bator, Mongolia. 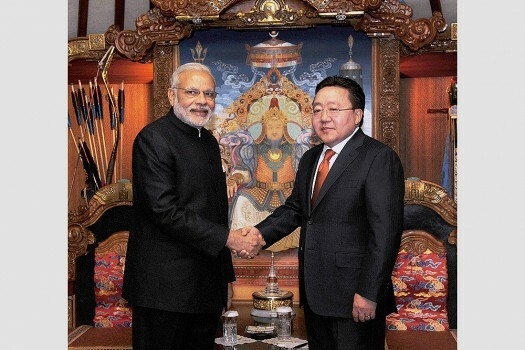 Prime Minster Narendra Modi shakes hands with President of Mongolia Tsakhiagiin Elbegdorj in Ulan Bator, Mongolia. 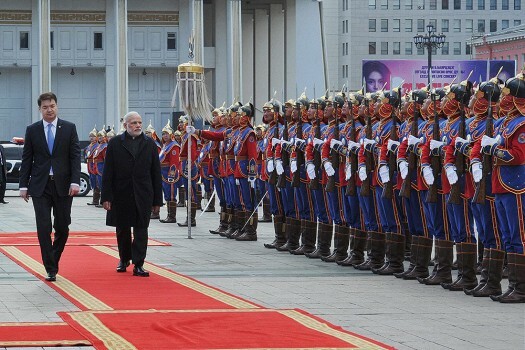 Prime Minster Narendra Modi with Mongolian child during the ceremonial welcome at State Palace in Ulan Bator, Mongolia. 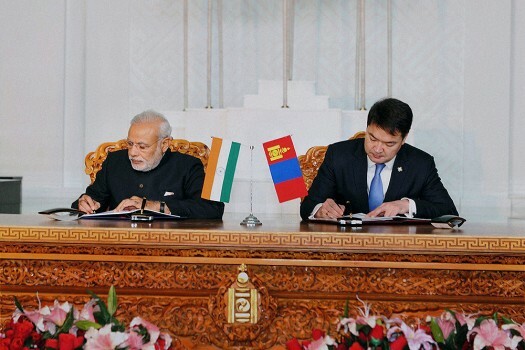 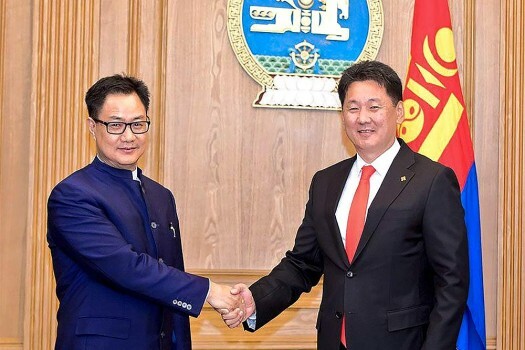 Prime Minster Narendra Modi with his Mongolian counterpart Chimed Saikhanbileg signing an agreements at State Palace in Ulan Bator, Mongolia. 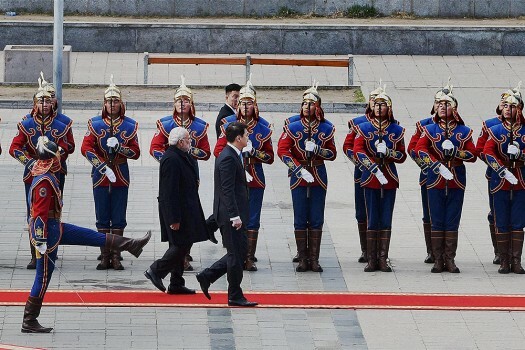 Prime Minster Narendra Modi with his Mongolian counterpart Chimed Saikhanbileg during the ceremonial welcome at State Palace in Ulan Bator, Mongolia. 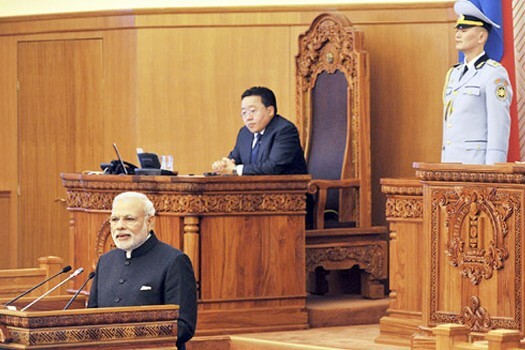 Prime Minister Narendra Modi addressing at the Parliament of Mongolia, in Mongolia. 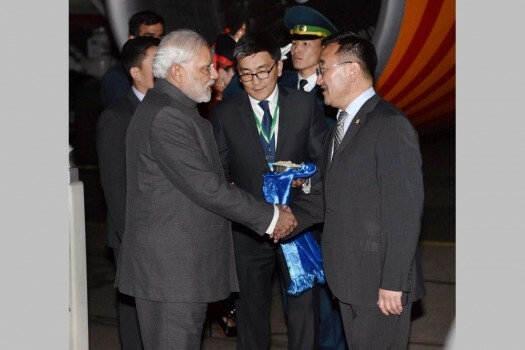 Prime Minister Narendra Modi being received upon his arrival at Chinggis Khaan International Airport in Ulaanbaatar, Mongolia. 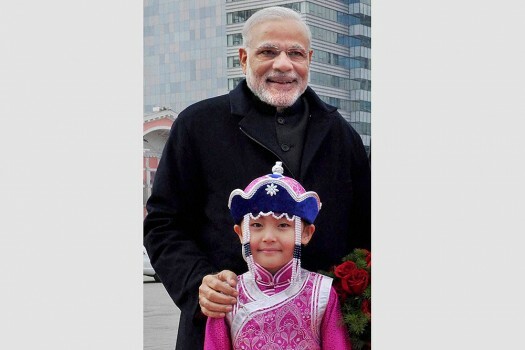 Mangalajodi, a picturesque village in Odisha, was once a poachers' village, but now serves as a nesting place for several species of migratory birds.